Home > Regulars > Spotted > Mazda MX-5 1.5: PH Trade-Off! 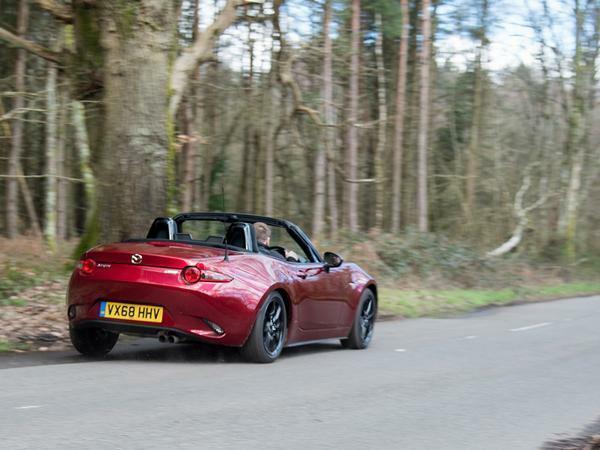 The pared-back simplicity of our MX-5 long-termer has won us over. But is there something simpler still for half the money? If you've been keeping up with our long-term Mazda MX-5, you'll know it's been endearing itself to us of late. Our 1.5-litre example is with is to try and help us work out whether, as some say, it's the best MX-5 - or whether, as logic dictates, you actually want the greater power (not to mention the limited-slip differential) of the 2.0-litre version. The jury's out on that conclusion as of yet. But one thing's for certain: we like the 1.5, quite a lot in fact. "The MX-5 just works in damn near every situation because it's been so cleverly engineered," says Matt. "There isn't a button for a sharper throttle, or weightier steering, or a different sound from the speakers - and it's never felt like needing one. Many if not most of the sports car benchmarks that Mazda always hoped to emulate made it without modes, and hopefully the MX-5 can continue in that vein - because there's simply no need when the car is this well sorted." The MX-5 is even terrific value. A 1.5 SE-L like ours can be had for as little as £20,795 these days, which isn't much at all. And that's going to make this week's Trade-Off rather tricky, because it gives us just over £10,000 to play with - with which we'll need to find something that's just as much fun as the MX-5, and just as usable, but also just as simple. Eep. We'd be mad not to mention the old model, of course. Our budget will easily get you into a post-facelift 2.0 Sport Tech, probably the best of the lot, with low miles like this one. Of course, you get all the usability of a modern MX-5, and while it won't be quite as deft or as dextrous as its modern progeny, the Mk3 MX-5 was hardly a big old lump of wood to drive. Even so, this feels like the easy way out - and it's one that'd probably leave you feeling a little deflated each time you rocked up at the lights next to the new model. There are better options out there. One of them might be a Lotus Elan M100, like this one. Yes, it's getting on a bit, but this example's only covered 88,000 miles; more to the point, it's just had a full glass-out restoration and a service with all the bells on. Its history is all-encompassing, too; in short, this is one of the best Elans out there. It's a naturally aspirated example, too, rather than the more complex Turbo, so it stays true to the purity and simplicity of our MX-5. And if you're worried about the reliability qualms that Lotus badge might bring, don't be; the Isuzu lump is as tough as old boots, and the rest of the car is about as well-built as Lotuses got, its fibreglass body resisting rust and only its electrics being a potential worry. The Elan's terrific to drive, too, its incredible body control and immense grip making it capable of remarkably high cornering speeds. But there's a problem: that front-drive chassis may be about as good as they come, but it still doesn't give you as many options as a rear-driven roadster would; that lack of adjustability has led to the Elan gaining a reputation for being fast, but a little remote - entirely the opposite ethos to our MX-5. So instead, our choice this week is a car that's about as involving as they come. 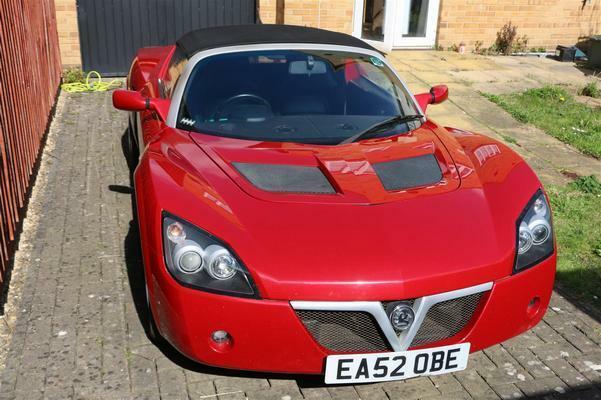 It's always a joy to remember that in this day and age you can buy a good Vauxhall VX220 for less than £10,000; this example, in fact, will set you back £500 less than that. Now, let's address the elephant in the room first. No, a VX220 won't be as easy to live with as our MX-5. You'll have to tolerate a firmer ride, smaller doors, and a hood you can't simply flop away. However this example's been upgraded with a better heater and a Bluetooth stereo; what more do you really need in life? What's indisputable is that the VX220 shares the Mazda's purity of purpose, this naturally-aspirated example being pretty mechanically simple and unspoiled by the Turbo's power surplus, making it relatively easy to enjoy without fear of it spitting you off. It looks to be a tidy one, too, with just 41,000 miles on the clock and a full history. So, while it's not exactly a spring chicken, it is at least newer than the Elan - and it should still be pretty reliable. The 2.2-litre Vauxhall lump is known to be pretty robust, and even if it does go wrong it's seen service in countless Astras, Vectras and Omegas, so parts won't be made of unobtanium. Then there's the fact that on those days you want to take the long way home, you won't be able to stop smiling. If purity and no-nonsense entertainment are the main aims of this search, you'll struggle to find anything that fits that bill quite this well for our budget. 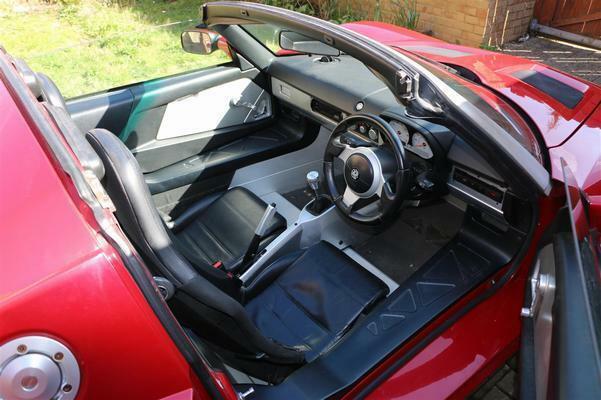 Given what this VX220 offers, you can live with a few hood poppers, can't you? Seven 310 for me please. I’ll happily take yours for 10k! The 310 is what I’d choose in the category of fun, light open top 2 seaters. Since PH is already comparing apples to pears I don’t see why I can’t stretch the quest. Obviously you can say whatever you like. But the fun challenge of this is finding something thats half the cost of the new car. I was expecting the result to be a S1 Elise... then remembered they aren’t that cheap any more.